In these super mellow candle-lit restorative yoga workshops we’ll practice mindful movement, soothing restorative yoga, pranayama (the movement of energy with breath) that will create equilibrium in the nervous system and seated meditation. The practice will cumulate in a blissful guided savasana. Restorative Yoga is a quiet, contemplative practice where a state of active relaxation is cultivated through a sequence of supported poses, mindful movement and breath awareness. Props such as bolsters,blankets and yoga blocks are often used to create optimal support as positions can be held for several minutes at a time to encourage deeper release and opening within the body, mind and breath and feelings of tranquility and peacefulness. These workshops are suitable for all levels of yoga practitioners from complete beginners to the more experienced. Pre booking is essential, workshops at Yoga Sp8ce are £20pp and at The Scouts Hut £15pp. 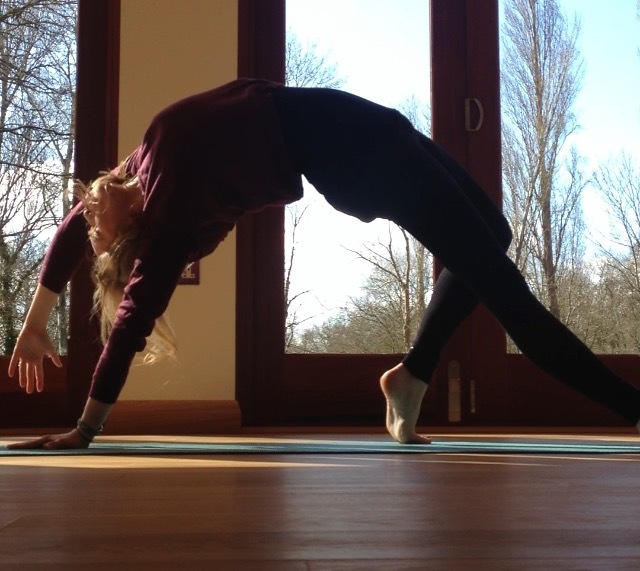 To book email me [Email address: hello #AT# rmyoga.co.uk - replace #AT# with @ ], thanks! 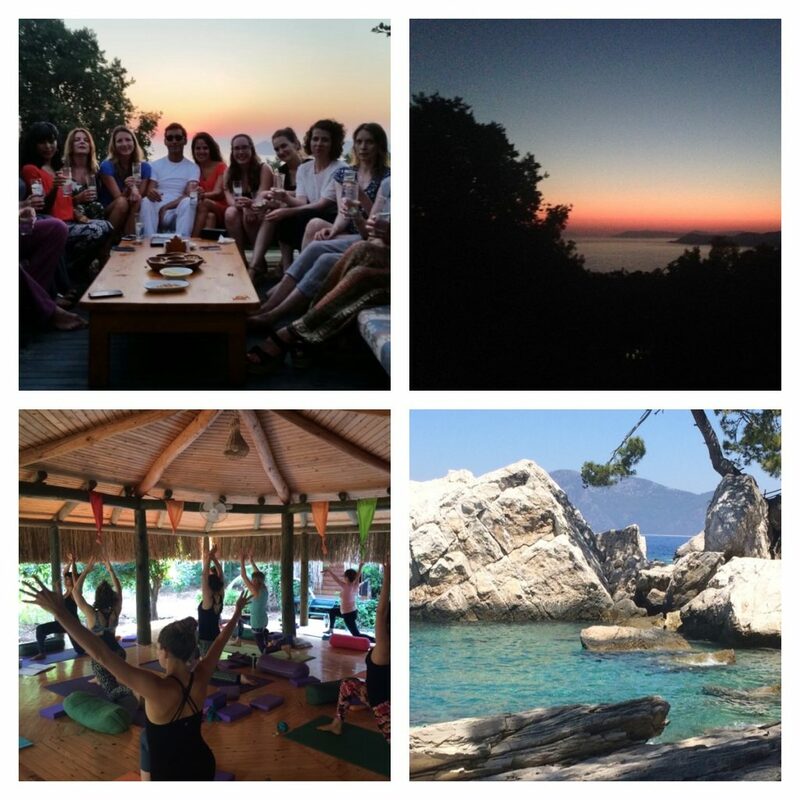 The second annual Good Vibes Yoga Holiday to Turkey was truly wonderful, thanks to all that came with us to The Pomegranate in Faralya. Next year’s dates coming soon! Have you booked your tickets for this year’s Yoga Garden Party on 1st August at Commonwork in Kent? We have a stellar line up of teachers, including John Scott, Simon Low, Bridget Woods-Kramer and many more, plus fun stuff for kids, holistic therapies, live music, stalls, healthy food and drink. Tickets cost £25 per person including one free yoga class, under 16’s go free. Needing some time out to restore and rejuvenate? Looking to learn about raw food, create better eating habits and and wondering how to incorporate them into your daily life? 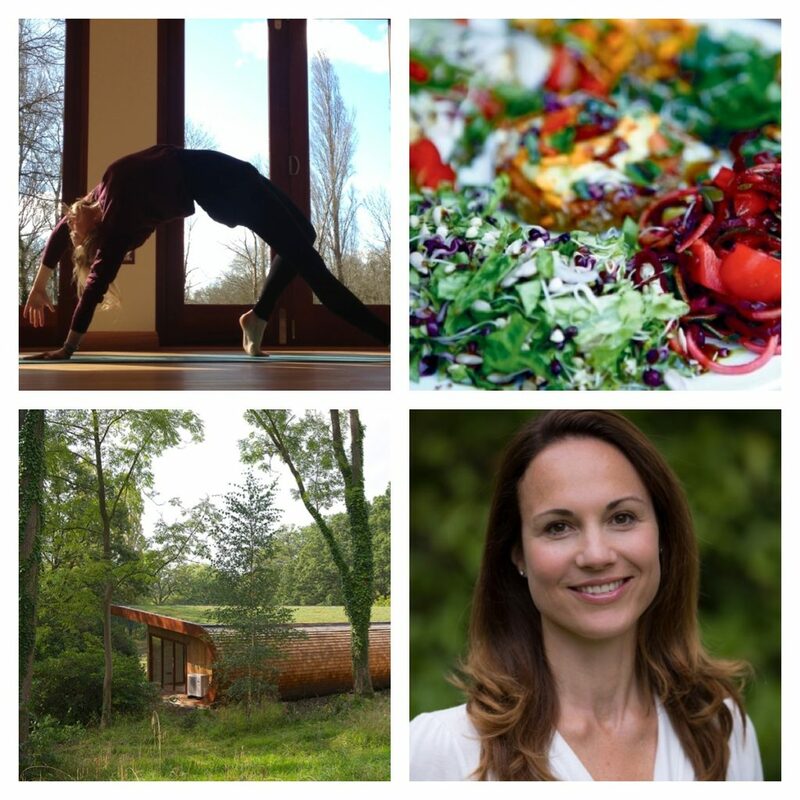 This day long yoga and nutrition retreat at the stunning Yoga Sp8ce studio, set in peaceful private woodland with a tranquil lake view, is the perfect way to boost your energy, unwind, get healthy and to devote some time to you and your health. First, we’ll explore a dynamic, energising yoga flow created to open and strengthen the body and soothe the mind. We’ll then explore nutrition by creating our own healthy raw lunch. After we’ve eaten what we’ve created, you will be taken though an interactive and engaging talk on healthy eating habits and integrative health. You will come away with new health and food techniques to enhance your well-being. From here, we’ll move into a blissful restorative yoga session where we’ll take mellow supported stretches designed to free up long held blockages in the body, mind and breath. Our practice will cumulate with a yoga nidra (or yogic sleep) to promote energy within leaving you feeling totally refreshed, full of va-va-voom and ready for anything! £75 per person. To book your place, please email me [Email address: ruth #AT# ruthy.plus.com - replace #AT# with @ ]. Lyndy will teach you how to create a delicious and nourishing raw lunch. She will then discuss easy ways in which you can empower yourself to make positive and beneficial energy upgrades to your everyday health. Ruth will take you through the dynamic yoga flow and the restorative session and Vikki will guide you through the Yoga Nidra.